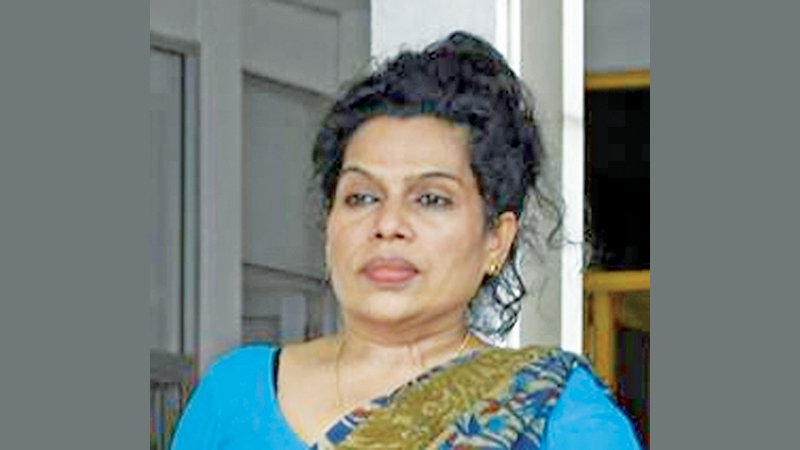 Colombo Chief Magistrate Lanka Jayarathne yesterday issued notice to the Examiner of Questionable Documents (EQD) to appear before court on April 25, to give evidence regarding two cases filed against Shashi Weerawansa, wife of National Freedom Front (NFF) Leader Wimal Weerawansa. The two cases filed against Shashi Weerawansa were yesterday fixed for further trial on April 25 by the Colombo Chief Magistrate. This is in connection with an incident where she had allegedly fraudulently obtained two passports, including one diplomatic passport, by submitting forged documents to the Immigration and Emigration Department. Giving evidence before the court, Janatha Vimukthi Peramuna (JVP) General Secretary Tilvin Silva informed the court that he had signed the marriage certificate of MP Wimal Weerawansa. Deputy Solicitor General Dileepa Pieris appearing on behalf of the Criminal Investigations Department informed court that they expect to conclude the trial on the next calling date. DSG Pieris also submitted the marriage certificate of MP Weerawansa to the Magistrate.